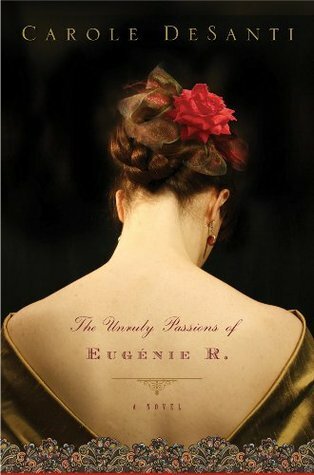 With a lush, enticing cover The Unruly Passions of Eugenie R. by Carole DeSanti can’t help but catch the eye. The cover conjures images of a romantic work of historic fiction, filled with extravagance and richness. The novel does deliver in that way. France is ushering in a new era, set in the years immediately before the Franco-Prussian War era (1870’s), the book follows the life of Eugenie Rigault who was born in the foie gras country region of France. There she meets a gentleman that she falls in love with and gives him her heart and body. They soon make plans to move to Paris where the man promises to ‘take care of her’. When she arrives in Paris a few weeks later, he has all but abandoned her. Eugenie holds out hope that her ‘prince’ will come and take her away from the Paris gutters but at long last she must accept that he will never come for her. Heart broken and alone, Eugenie searches for a way to support herself. One of the only ways for a woman to do that was prostitution. Eugenie becomes pregnant and after abandoning her daughter, she spends the next ten years trying to get her back. Along the way she meets many interesting people…. revolutionaries, friends, and lovers. Eugenie’s tale is really more one of survival and self invention rather than love. Her fall into prostitution, the loss of her daughter, and her other misfortunes, sounded like a great read. The book has all the ingredients of a gripping tale, but for me it just didn’t deliver in the way that I expected. The author’s descriptions of Eugenie’s emotions and adventures, the food, the clothes, the smells, the weather, the gardens, the buildings, the streets, the dinner parties, the war….everything. You feel like you are right there with her, surviving the streets of Paris but yet as a reader I didn’t fully buy into it mostly because it was too descriptive. The story was convoluted by the over use of purple prose, which leaves the reader feeling distracted and bored. I was so focused on the descriptions and language that I found myself having to go back and re-read chapters or passages to make sure I had a full grasp of what was going on. The prose was elegant and beautiful but it just took up too much of the story. I didn’t every really connect with Eugenie as a character either. The story in told in the first person and Eugenie is not always a reliable narrator. In fact, she admits to ’embellishments’ from time to time and as a reader that bothered me. She didn’t seem too effected by the fleeting relationships that she did have with her various lovers. I would liken her to drift wood rolling about through the endless extravagance seas of Paris. I also expected her to be more confident and fierce but found her bland as a heroine which made it difficult to buy the tale of self invention. I also felt disconnected from the other characters. Too many of the characters come and go in Eugenie’s life which I felt also distracted from the story. I didn’t really want to get to know any of the characters because before I knew it they were gone. I makes me really sad to rate this book as low as I did but over all I just didn’t feel like it lived up to expectation. The cover and summary promise a luxurious, powerful read but it fell short. Ultimately what did me in was the heavy, abundant prose. It was just too distracting for me. A little purple prose here and there is fine and it is a tool that helps manipulate the readers emotional response (pathos) but for me it was overkill. The flow and pace of the story would have improved without so much of it. I did enjoy the setting from a historic perspective though. I loved the boisterous atmosphere of Paris and France with all the new revolutionary ideas slowing encapsulating the city. DeSanti does a decent job helping the reader navigate the historic period, since French history isn’t in everyones repertoire. However I did still have to look up certain names and historic references but overall I didn’t think that the historic part was difficult to read or follow. The only thing holding this book back from being good, rather than decent, is the cloudy prose. Again, EXACTLY how I felt. I soooo wanted to love it too, because Look at it! It’s beautiful and the premise had such promise. Bummer!!! Hello there, thank you very much for stopping by my blog. ‘Below Stairs’ is such a straightforward and honest book that I loved it immediately. I hope you like it too. 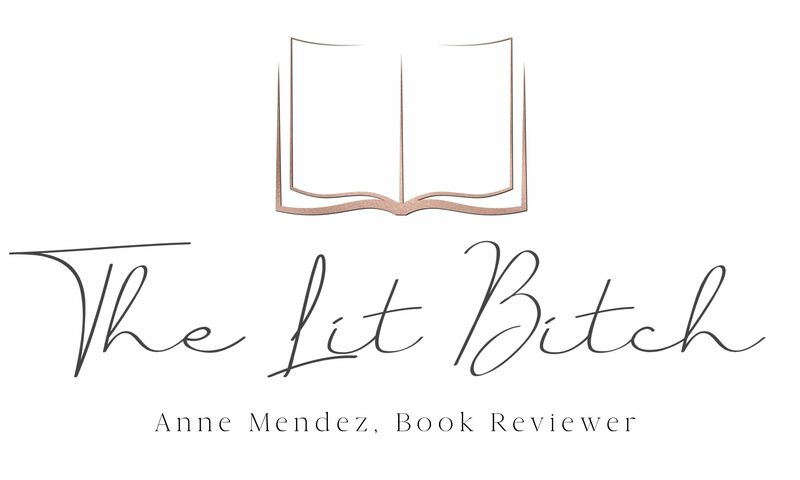 You have a fantastic blog and your review here, is very similar to the one I am about to leave for a book called ‘The Doctor and the Diva’ – have you read it? not a lot to love about the book, I did love the parts about Florence however. I also noticed that you’ve mentioned ‘The Outlander’ did you like the series?